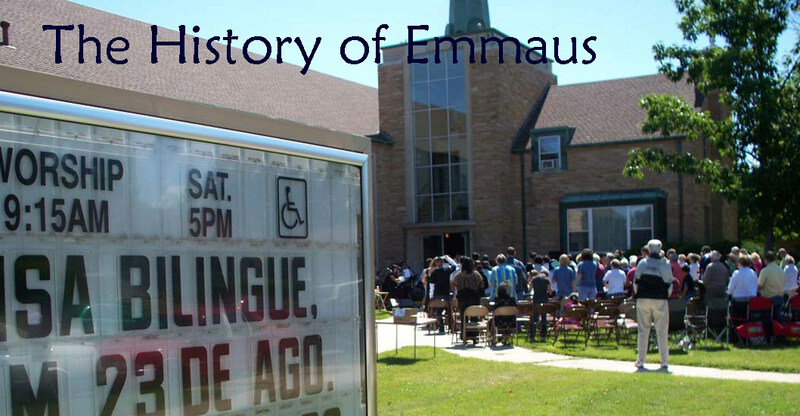 As Emmaus celebrated its sesquicentennial in 2001, the congregation had to deal with the unmistakable trend: like many Protestant churches, Emmaus’ congregation was becoming older and smaller. No longer could the congregation rely on the waves of Danish immigration of the late 19th and early 20th Century and the Baby Boom of the mid-20th Century to swell the membership. As a result, Emmaus could no longer afford two full time pastors. Rev. Paul Nuechterlein resigned in 2001 to offer his services as an interim pastor at other Racine congregations, while Rev. Mary Janz continued as Emmaus’ sole full-time pastor until her retirement in 2016. (Rev. Nuechterlein was later the pastor of Prince of Peace Lutheran Church in Portage, Michigan, retiring from parish ministry in 2015.) Emmaus has shared Visitation Pastors with Lincoln Lutheran Homes: Rev. Sharon Georgi (2002-2005) and Rev. Walter Hermanns (2006-2013). The congregation has devoted itself to community outreach. Volunteers created Emmaus After School for Youth (EASY) on January 27, 2002, creating a space for children from the nearest elementary school, Wadewitz, to come for tutoring and reading help. 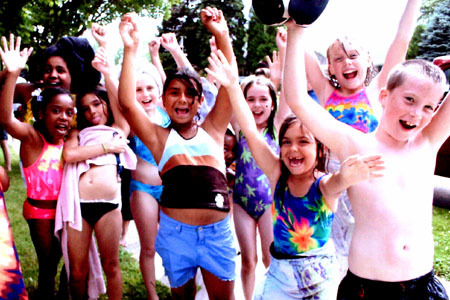 Emmaus inaugurated a new outreach program, “Neighborhood Camp,” in the summer of 2003. For five weeks each summer, structured recreational and educational activities are offered free to about 50 children of the Emmaus neighborhood. 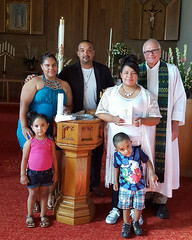 The program quickly branched out to other ELCA congregations in Racine. Within the first year, the Spanish-language worship service of Parroquia Emaús swelled to 200 persons. The Latino congregation established its own advisory board as well as a young adults’ group, a sacristy group (Altar Guild), a group to minister to members in need, and a “Good Samaritan” fund. In 2011, Emmaus and Emaús entered into a covenant relationship with four other ELCA churches in Racine: Atonement (East and West), Our Savior’s, St. Andrew, and Lutheran Church of the Redeemer. The covenant was formally named FaithWorks Racine in 2012; Redeemer withdrew from the covenant in 2013. While FaithWorks officially dissolved in 2015, Emmaus and Emaús (now Emaus ELCA), Atonement and Our Savior’s (now Living Faith) and Redeemer have continued the summer Neighborhood Camp program. Emmaus and St. Andrew began joining their English language worship services together every week in the fall of 2013, alternating worship sites between the two church buildings every other month. 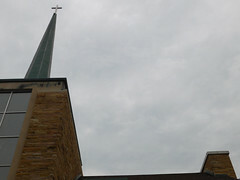 The two congregations were unable to agree on a plan for continuing to combine operations, however, and they resumed worshiping separately a year later. On January 24, 2016, Emmaus Evangelical Lutheran Church and Parroquia Emaús voted to reconstitute as a single congregation, Emaus ELCA. The name reflects the spelling of the Spanish-speaking portion of the congregation and of the Danish-speaking founders of the original church. Emaus ELCA will now operate with a single church council but will continue to offer separate services in English and Spanish, with occasional bilingual worship services to mark special occasions. On June 5, 2016, Emaus ELCA voted to an extend a term call of 18 months to Rev. Gabriel A. Marcano, effective July 1 through December 31, 2017. JENSEN, JOHN M.: The United Evangelical Lutheran Church, Augsburg Publishing House, Minneapolis, MN, 1964. VIG, P. S.: Den Første Skand. Evang. Lutherke Menighed i Racine, Wisconsin: Et Omrids af dens Historie gennem 75 Aar, tr. H. Skov Nielsen. “Published by a Committee.” 1926. THE NEW YORK TIMES: “A Danish House of Prayer: Money From Denmark Paid for Its Start in Brooklyn,” New York, NY, Oct. 28, 1894 (page 16). THE RACINE JOURNAL TIMES: “17 Persons Sign 2 Petitions, For and Against New Tavern,” February 18, 1947 (Page 4). THE SUNDAY BULLETIN (Racine Journal Times): “Dedication Services Set For New Emmaus Church,” October 9, 1955 (Page 14). THE SUNDAY BULLETIN: “Dedication Festival Draws Crowds to Emmaus Church,” October 23, 1955. THE RACINE JOURNAL TIMES: “New Bells and Old,” October 21, 1957, page 4. THE JOURNAL TIMES: “Saigon Only Memory to New Residents,” by Sue Harcus. Racine, WI, July 23, 1975 (Page 3A). THE JOURNAL TIMES: “Former ‘Boatperson’ Finds New Life” by Robert A Frahm. Racine, WI, August 9, 1980 (page 4A). THE JOURNAL TIMES: “History Shows Economy Was Cruel to Local Colleges,” by Joseph Scolaro. Racine, WI, August 3, 1998 (Page 1B). ANON. : Emmaus: The First Century. Lutheran Publishing House, Blair, NE, 1951. ELCA Archives, Lutheran Churches in Chicago: A Genealogical Guide.